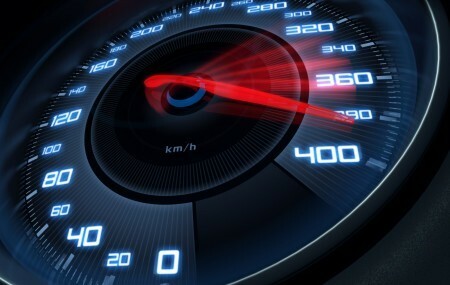 Speed is the new currency of business, says Marc Benioff, chairman and CEO at Salesforce. And he’s spot on! Bain’s Firm of the Future practice makes the key point that “success depends on how firms deliver the benefits of scale and intimacy better and faster to customers.” What is unsaid is that it takes an ecosystem of partners too, because of the complexity of the technologies and the domain expertise required to apply them within specific use cases. And these partners probably are not the same ones that help you service enterprise customers with traditional solutions, or where the purpose of the partnership was for balance of trade. For example, industrial giants such as Schneider Electric and ABB are co-creating customer-facing solutions with the likes of Microsoft and IBM, significantly expanding those relationships. At the same time, IT leaders including Intel are partnering with auto manufacturers and battery developers to produce the next generation of transportation. The biopharma ecosystem now includes app developers and artificial intelligence components. Sanofi and Verily, the life science arm of Google, just launched Onduo, a virtual diabetes clinic. Additionally, the promise of digital business transformation offers opportunities for midmarket and smaller businesses, prompting technology purveyors to establish a new set of channel partners—and to work with these partners to offer and co-sell specific solutions for this market. Partnering has always required the element of trust. Not absolute trust. Just enough trust for the activity at hand. Do more complex solutions require greater trust than traditional channel or licensing relationships? There is a case to be made that they do—especially when it comes to the partners who engage with the end customer or who are core to the solution. To develop trust and to partner at the speed of business requires entrepreneurial agility—the ability to use your partnering framework to identify critical assumptions, the data needed to validate or invalidate them as quickly as possible, as well as the means for collecting and evaluating the data. Note that this data has to be collected in real world interactions—working with your partner preparing to engage with the end customer or when interacting with the end customer. If the data proves an assumption is not valid, you need to iterate your assumption quickly, redesigning the under-performing framework component. You can think of this initial iteration of your partnership as an MVP – the Minimum Viable Partnership to launch into the business environment. After all, why spend weeks or months building a comprehensive business plan for your partnership only to discover a fundamental flaw in your offering? For example, you think your offering will be a gateway for customers and it turns out they want it embedded and integrated into other platforms they already use. Getting that assumption wrong could have significant impact on the resources each partner makes available and when—possibly even to the point that one of the partners no longer sees the business case as valid. Wouldn’t you want to uncover that as quickly as possible—before too much time and money have been spent? This entrepreneurial approach to partnering is akin to the popular method of building a company known as lean startup. Call it lean partnering. When speed is the currency of business and business success depends on delivering solutions through an ecosystem of partners, partnering has to happen at an equivalent speed. Our next few blog posts will delve into the partnering framework and the assumption validation process.